My little guy is obsessed with the movie Despicable Me! 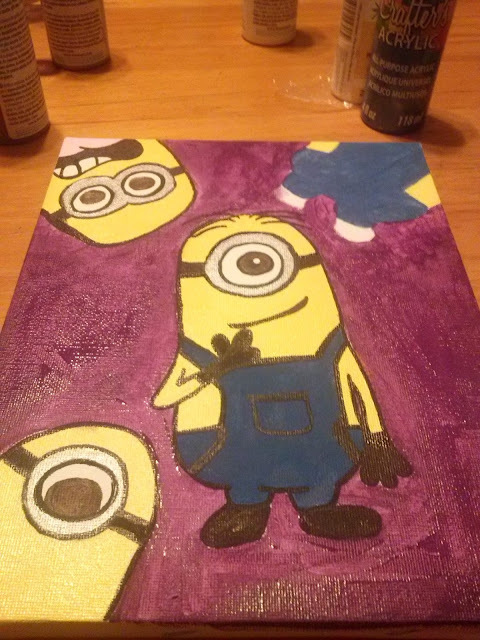 He's been wanting a minion poster, but unfortunately I wasn't able to find any in our area. Instead I decided to get crafty! 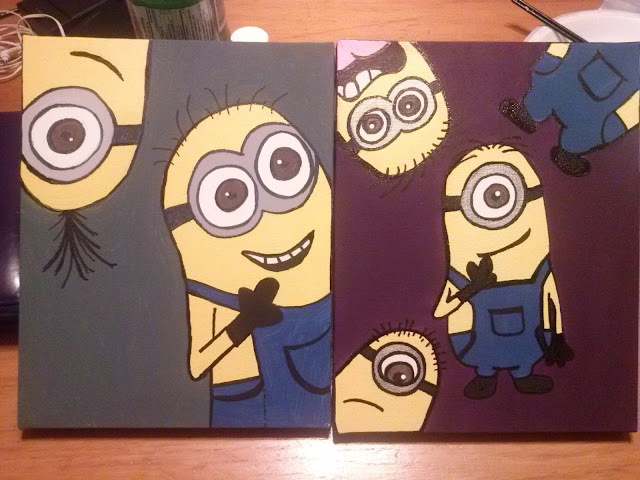 I went to my local dollarstore and picked up two canvases, new paint brushes and some paint. It only cost me a little over 5 dollars. I had most of the paint colors I needed, except yellow. I'm going to use them as decorations for Tyson's 6th birthday as well. 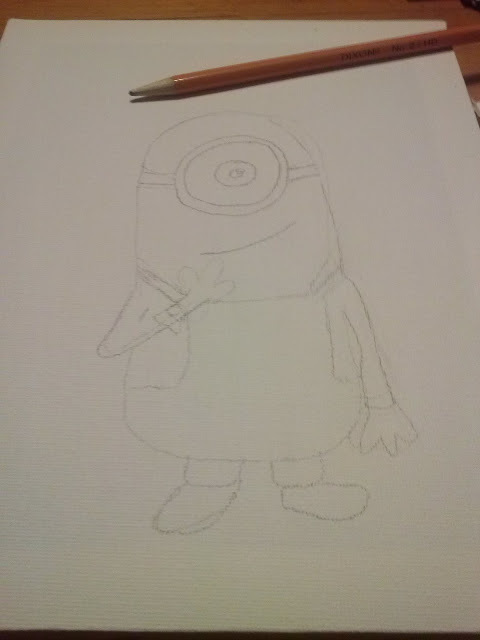 He wants a Despicable Me themed party. We weren't going to have a big party for him this year. But, since the wedding is next year, we thought we should. The paintings may not be perfect, but they are made with lots of love! Another little surprise this week -- Tyson is learning how to draw! 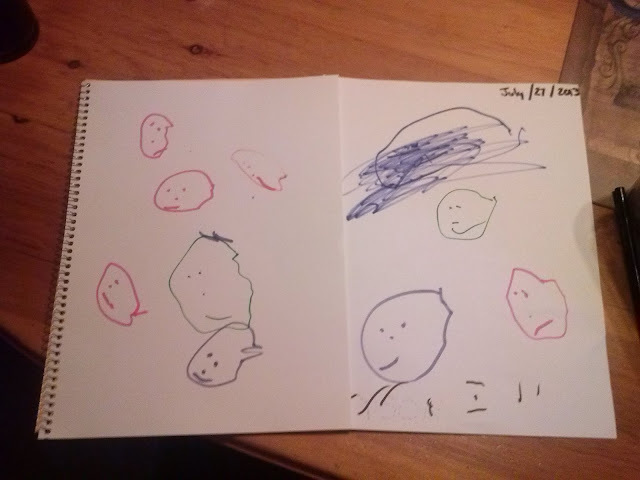 He's starting off by drawing happy faces in therapy. I'm SO proud! I starting tearing up when he showed me. Tyson hates anything to do with art. It's amazing to see him drawing. Oh wow, Melly! They're adorable! You did a great job with them. I am sure Tyson will adore them. Aw! :) Thank you! Tyson LOVES them! I put them up on his wall when he was sleeping. (He's a deep sleeper!) When he woke up and saw them, he was smiling from ear to ear. Thanks so much Steph! It's funny, because I was never able to draw before. These aren't perfect, but really awesome for me haha! You did such a great job, too cute! Aw shucks* Thanks huns! :) I had fun!